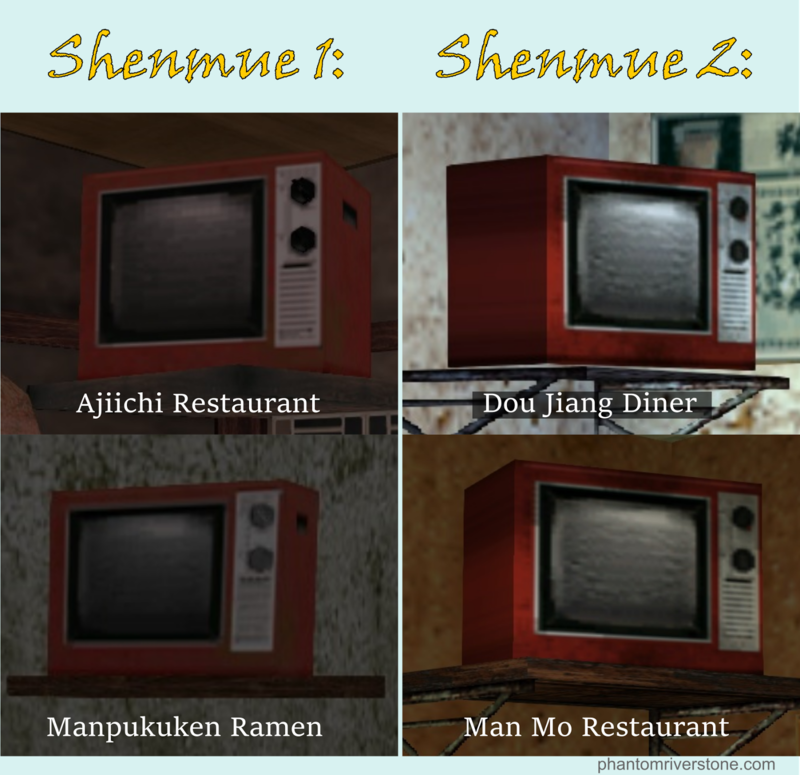 Following our recent post translating an early Shenmue design document for Hong Kong diners, I decided to collect together shots of the familiar old red TV that can often be found sitting up in the corner of such restaurants in the game, part of the game's careful design. 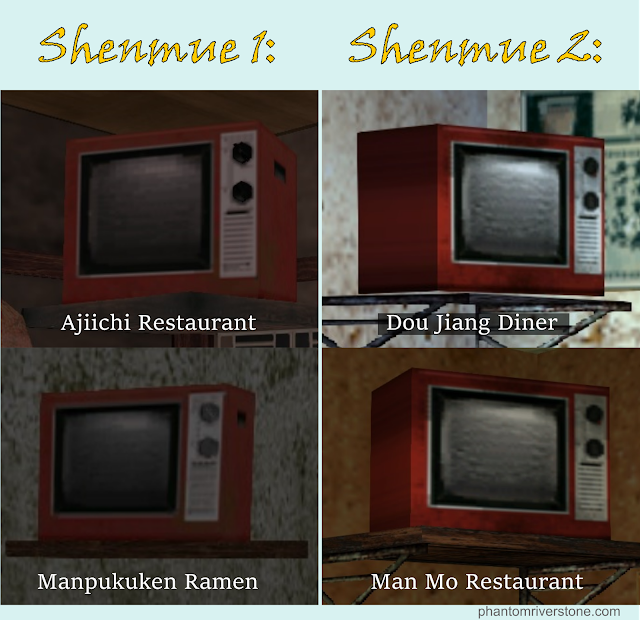 The old red TV in Shenmue 1 and 2. Do you know of any other locations? There may be more lurking around! (I'm also intrigued that they made a small variation to the one in Manpukuken Ramen, giving it gray dials rather than being black like the others). If you can find one more we will have bingo. Foune one in Good Omen Butcher (right butcher shop). 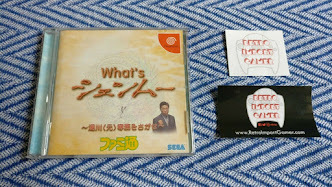 I'll put up a 4-set image of these latest finds. Interesting that it looks like the controls on the Good Omen Butcher's TV differ from the usual round dials. Ah, didn’t even notice that. Flower King Electronic shop has 3, Lucky Charm Electronics has 2, another 2 in Wanchai electronics and 3 more in Man Mo Electrical Goods. Now we know where these other shops buy their red TVs from. (I think the one in Man Mo restaurant is part of the original set). I would love one to turn up with improved definition in S3! 4 more in White Dynasty Pawnshop. Yet another 2 in the Liverpool bar. One set has the dials on the other side of he screen. Red TV ahoy in Zhangyu Barber’s shop. We're going to need to extend that Bingo board. Great ongoing detective work, JC! Such an unassuming object if you're not looking out for it. 1 in Lucky Pawnshop (Wise Men’s Quarter) and correction for Shine Pawnshop there are 3 not 2 red TVs. 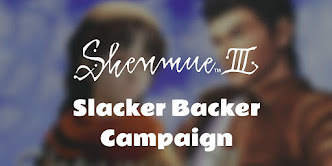 At the end of this exercise, no one is going to believe just how many identical red TVs there are to be found in Shenmue II. 2 in Excellent Luck Electronics, 2 in Civilized Electronics Shop, 2 in Moon Child Electronics, 2 in Starlight Electronics, and 1 in the corner of Bar Zui Zui. 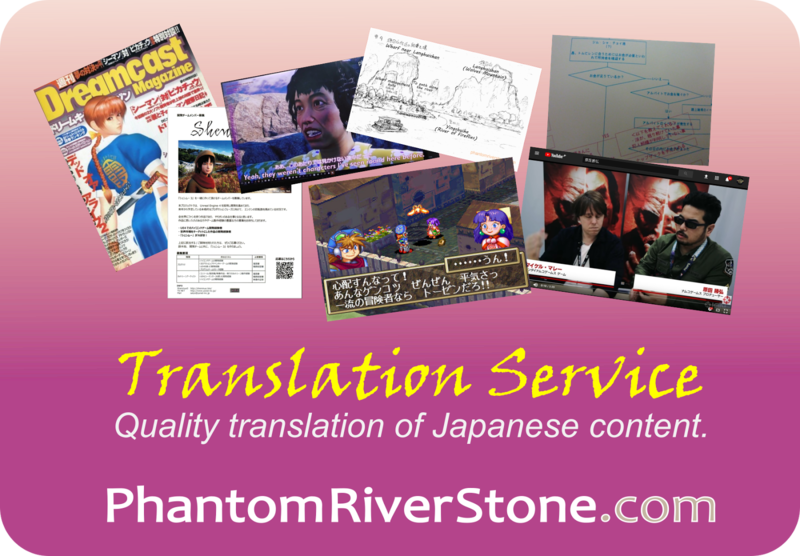 All located within the Moon Child Building in Kowloon. Another one located in the corner of Spring and Autumn Dimsum (same building). All Mahjong Parlors on floor 6 of Dancing Dragon Building have 1 set.